There’s a huge demand for information regarding the best jigsaw and we’re going to rise to this challenge. 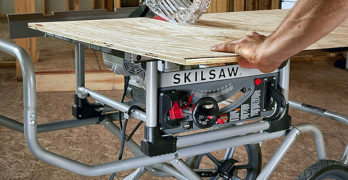 If you use power tools on a regular basis, a jigsaw is something you just have to own. We always think of woodworking first when discussing saws, but a jigsaw is one of those tools that everyone will find a use for. You can get just about any type of blade for a jigsaw, making it possible to cut just about anything – wood, plastics, metal and even ceramic. If you’re on a mission to find the best jigsaw, this article is going to guide you toward your objective. Being such a widely used tool, there so many options and it’s not all that easy to tell which jigsaw is the best. We’ve done some investigation into the matter. In order to find the best jigsaw, we’ve had to look at specs as well as price. Not everyone is looking for the ultimate jigsaw, there are many who simply want the best option for its price. Even if you’re looking for the best budget jigsaw, you want to know that you’re not wasting your money. Cheap can often be disappointing. Going beyond technical knowledge and experience, we’ve also set out to establish what the opinion is amongst buyers of these products. It should come as no surprise that DeWalt and Bosch top this list of the best jigsaws. Sure, you can get more expensive jigsaws and some of these may be better in some people’s eyes. Though when looking at value for money with respect to quality and specs vs price, you’ll be hard-pressed to find a better deal than either of these two jigsaws. Public opinion seems to support this theory. We’re not alone in saying that these are the best jigsaws when you take all of this into account. When it comes to buying on a limited budget, who better to turn to than Black & Decker. So for those of you who really don’t have the money to spend on either of the other two (or don’t see the need to), this is a really cheap yet reliable alternative. 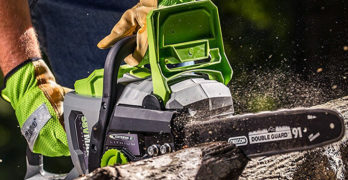 While many of you might already know a lot about these versatile saws and simply want a review of the best jigsaws, there are others who may be buying one for the first time. So apart from a comprehensive review of the best jigsaws available, we’ll also provide you with a complete buyers guide. What are the important things to look for when deciding on the best jigsaws for your needs? How do they work? What do you use a jigsaw for and why would you want one? This article is going to cover everything for you. Because many might be in hurry to check out the best jigsaws, I’ll cut to the chase and review these products first. For those who require more information, keep reading because there’s a whole load of information to come. Variable speed trigger provides up to 3,000 strokes per minute. In the tool world, it’s hard to find any “best of” review without seeing a DeWalt model in the mix. So it should come as no surprise that we’re kicking off this review of the best jigsaws with the DeWalt DCS331B. As part of the 20V MAX range of cordless DeWalt tools, you can choose to use any of their 20V batteries or the versatile 20V/60V FlexVolt battery system. This gives you a wide variety of battery options and just about the best working time if you’re using any of the FlexVolt batteries. This alone, probably makes the DeWalt DCS331B the best cordless jigsaw. From my first look at the DeWalt DCS331B, I could tell that this jigsaw holds true to the DeWalt reputation for exceptional build quality and innovative design. The shoe and all the working parts are solid metal and clearly very durable. The motor housing and handle are made from tough plastic. The handle has a thick rubber grip that does a lot to minimize the vibration that so plagues these tools. The DeWalt DCS331B is a very comfortable jigsaw to use, something you’ll appreciate when working for long periods of time. Then there’s the basic design of the handle which is perfectly angled, giving you the best gripping position and it has texturing to prevent your hand from slipping. It’s this attention to detail that separates DeWalt tools form the rest of the pack. The solid cast shoe is clad with a removable durable plastic shoe cover which allows the jigsaw to move smoothly over any surface and prevents the workpiece from scratching. It uses regular T-Shank jigsaw blades with a lever action metal blade changing mechanism. This gives you the convenience of super quick blade changes without compromising on the durability of the machine in any way. The four-position orbital action gives you perfect control over the speed and cutting action of the jigsaw. You can change the power curve of the motor with a selector switch, depending on the type of material you’re cutting, the blade you’re using, or the level of accuracy that you require. The DeWalt DCS331B also offers fantastic control over the variable speed of 0-3000 Stroke per Minute (SPM), using a sensitive trigger switch. You can do fine detailed cutting and even cut through metal without any hesitation, you’ll always get the perfect blade speed without a problem. The stroke length is 1”, which is pretty standard for this class of jigsaw. Making bevel cuts really couldn’t be easier. The DeWalt DCS331B has tool-free bevel adjustment up to 45°, with indent positive stops for commonly used angles (0°; 15°; 30° and 45°). Something that should impress any jigsaw connoisseur, has to be the adjustable blower that cleans away the sawdust and woodchips as you work – your cutline will always be visible. This is not something that you’ll find on just any old jigsaw. The DeWalt DCS331 is a fantastic tool to use and weighs only 5.4 LBS. It has a whole host of amazing and useful features packed into a well-made durable machine. It’s a DeWalt saw, what else would you expect? Of course, you also get their amazing warranty and free service deal: 3-year warranty on the jigsaw, a 1-year free service plan, and a 90-day money back guarantee. Best jigsaw for homeowners who want power as well as a quiet tool. Precision-machined plunging mechanism for enhanced accuracy. The Bosch JS365 is quite a bit cheaper than the DeWalt DCSS331. This Bosch jigsaw is a corded model, so one would expect it to be cheaper. While I don’t have power specs for the DeWalt, I’d expect the Bosch to be a little more powerful, this is usually the case with 120V AC vs battery-powered tools. To this end, the Bosch jigsaw range has the option of a 6A motor (JS360) or, for about 20 bucks more, you can get a more powerful 6.5A (JS365) variant. For this price difference, I’d think the 6.5A Bosch JS365 is worth getting. Apart from the motor size, the Bosch JS360 and JS365 are exactly the same jigsaws. This review is going to focus on the Bosch JS365. This is a very standard looking jigsaw and doesn’t have the same impressive handle design as the DeWalt DCS331. It has a cast aluminum shoe which also has a plastic cover to allow for smoother working and prevents scratching of the material that you’re cutting. Though much more plastic is used in the construction of this jigsaw in comparison to the DeWalt DCS331. I wouldn’t say that the Bosch jigsaw is any less durable, I just like to see more metal on a power tool. There isn’t much of weight difference between the two, the Bosch JS365 weighs 5.35 LBS. This would indicate that the inner workings of the machine should be made of similar materials. When it comes to using the Bosch JS365, you won’t be disappointed. It’s designed for low vibration and is quite easy on your hands. Blade changing is tool-free and it has an excellent locking mechanism for T-Shank jigsaw blades. Adjusting the bevel angle does require a hex key, which can be a bit of an irritation if you’re going to be adjusting your shoe angle regularly. The hex key is supplied with the machine and has a handy storage clip at the back of the tool. Like the DeWalt, it has four orbital settings so that you can adapt the saw to different working conditions. The Bosch JS365 also has a variable speed trigger, giving you excellent control between 500 and 3100 SPM. A dial allows you to set it to maximum power or scale down the power when cutting metal or making detailed curved cuts. The cutting depth is 1”. This jigsaw also has a blower to keep your cutline visible at all times and this is controlled by an on-off switch. With your purchase, you also get a carrying case and an anti-splinter insert. Bosch power tools have made their way into many shops and homes. They have proven themselves to be dependable tools. As far as quality and price go, the Bosch JS365 has earned its rightful position among the best jigsaws and comes with a 1-year warranty. 5 Amp Jigsaw with CurveControl : Best jigsaw for small projects or if you’re on a tight budget. 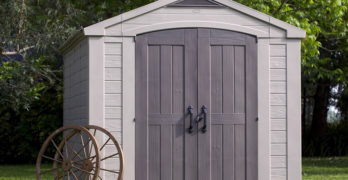 If you look into the tool chest of any home DIY enthusiast, there’s a strong chance that you’ll find at least one Black & Decker power tool in there. It’s easy to understand why – Black & Decker offer a good level of quality at a very affordable price. Admittedly, the Black & Decker BDEJS600 is not in the same class as the previous two jigsaws in this review. You just have to look at the pressed steel shoe to see that this machine is not designed for professional grade work. However, if you’re looking for a reliable and pleasingly cheap jigsaw for general cutting tasks around the home, the Black & Decker BDEJS600C is easily your best option. This model has a 5A motor and a ¾” stroke, another indication that it’s not quite in the same league as the Bosch, if we’re comparing corded jigsaws. Though I can’t see this being a big problem for general DIY jobs. I’m surprised to see a dust removal blower on this jigsaw as this one of those luxuries that’s usually reserved for the more high-end jigsaws. Big up to Black & Decker for that. It has four orbital settings and variable speed control up to 3000 SPM, so in this regard, the Black & Decker BDEJS600C compares with the best of them. Wire Guard provides clear line of sight for precise cuts. It also has a comfortable easy-grip handle. Blade changes are just as convenient as the other two and requires no tools. Adjusting the bevel angle is a little awkward though, you need to use a Phillips head screwdriver to do this. The weight is really decent at 4.6 LBS. This is about a pound lighter than the other two which makes a bit easier to use but is also an indication that the Black & Decker is not as heavy-duty as either the DeWalt DCS331 or the Bosch JS365. One can’t expect a jigsaw in this price range to match the same standard as the other two more expensive tools. When all is said and done, you really aren’t compromising too much when buying the Black & Decker BDEJS600C over any of the more expensive options available. If you’re the kind of guy who needs a reliable jigsaw for doing occasional work around your home, the Black & Decker BDEJS600C is going to give you everything that you need. I really can’t think of a better jigsaw in this price range, making the Black & Decker BDEJS600C outstanding value for money. Black & Decker are certainly confident about the quality of this product and offer a 2-year warranty as well as a 30-day money back guarantee on the Black & Decker BDEJS600C. Many experienced woodworkers will tell you that if you’re going to be doing detailed curved cuts, a scroll saw is the best tool for the job. While this may be true, a scroll saw will usually set you back quite bit more than what you’ll be paying for a jigsaw. It’s not that you can’t do detailed work with a jigsaw, it’s just going to take a lot more effort and the chance of making a mistake when doing really fine detailing is increased. Jigsaws tend to vibrate more than scroll saws and you don’t have the benefit of a table. This certainly doesn’t mean that a jigsaw is without its own advantages. Apart from being cheaper, there are some jobs that you can do with a jigsaw that you won’t be able to accomplish with a scroll saw. For one thing, a jigsaw is a handheld tool. This means that you can use it anywhere. If you’re going to be cutting into walls and built in cabinets, a jigsaw is the only tool that will allow you to make curved, corner or inside cuts. A scroll saw is also limited by its throat size, which means you can only cut pieces that fit the size of the saw. A jigsaw can be placed on top of a full-sized board and you can cut anywhere you want to. So it’s clear that a jigsaw is a valuable tool to have. Even if you own a scroll saw, you’ll probably need a jigsaw as well. 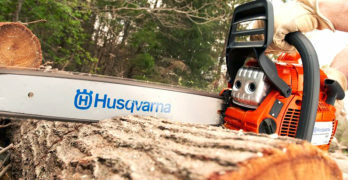 So before you buy one of these great and versatile saws, here’s what to look for when choosing the best jigsaw for your needs. A jigsaw is a small, lightweight handheld saw with a straight ridged blade. One of the biggest technical difference between a jigsaw and most other power tools is the oscillating action of the blade. The majority of power tools use a rotary action, making them less complicated from a technical standpoint. A jigsaw uses shafts, cams, and gears to change the rotation of the motor into an up and down motion. Because of this, there are more moving parts and it is, therefore, important to choose a quality machine. More complex machinery means that there’s more to go wrong, so buying too cheap is just not worth it. The jigsaw blade moves through a hole in the shoe of the saw. The shoe or base plate is a flat machined base that presses down on the piece that you’re cutting. This maintains perfect contact and prevents the saw from tilting when cutting. Just about all jigsaws have a shoe that can be tilted allowing you to change the angle for bevel cuts. You control the power to the blade using a trigger switch and most will have an additional dial switch to control the power sensitivity. This means that you can set the power for lower oscillation to suit the blade, material, and speed required for either rapid cutting or slow detailed cutting. The purpose of a jigsaw is to cut curves, circles and inside cuts – either square or curved. An inside cut means that you’re not starting from the edge of the piece. You drill a hole into the piece and start cutting from that hole by inserting the blade into the hole that you’ve drilled. The different sizes and types of teeth for jigsaw blades are numerous, designed for virtually any type of cutting on most materials. The blade width can be between ¼” and ½”. These blades are always very thin, generally, this is about ⅟32”. This means that a jigsaw blade can snap quite easily when too much force is placed on them. A wider (½”) blade can take more strain but won’t cut detailed curves too easily. It’s a matter of choosing the best width and tooth design for the task at hand and the blade packaging will usually give you the suggested uses for the particular blade that you’re using. When buying a jigsaw, the type of blade is not really a concern. The only thing to look at is the blade shank. This is the top of the blade (above the cutting teeth) that fits into the jigsaw. There are two types of shanks that are commonly used for jigsaw blades – T-Shanks and U-Shanks. These days, most jigsaws use only T-Shank blades, this is mostly for their quick, tool-free removal and fitting. Some jigsaws allow for both T and U-shank blades and these will require an Allen key to change the blades. For most uses, a T-Shank is the best way to go. Some jigsaws will have specialized shanks that won’t use either a T or U design. This is not the best unless you have a specific use for these blades because they aren’t commonly available. You will only be able to buy these blades from limited outlets. The handle on your jigsaw is more important than one might think. Because of the application of a jigsaw, control is vital. You want to be able to make small turns with great accuracy. There are two types of handle designs – barrel and D-shape handles. Some say that a barrel design gives you better control, but I find a well-designed D-shape handle to be just as good. Your most important consideration is to have a good, sturdy grip on the machine. Another important factor is vibration. The oscillating motion of the blade causes it to vibrate a lot. This will differ depending on the material that you’re cutting – metal has the worst vibration. Using a machine with excessive vibration will take its toll on your hands and fatigue can set in quickly. A well-padded handle with a soft comfortable grip is going to make your life a lot easier and allow you to work for longer periods without fatigue. The distance that your blade travels as it moves up and down (stroke length) will determine the thickness of the material that you’re able to cut. Less than ⅝” isn’t that great and a 1” stroke is really good. Most decent jigsaws have a stroke of about 1”. The shoe or base of the jigsaw will determine how easily you’re able to move the saw over the material that you’re cutting. It can also affect the accuracy of the machine. A cast metal shoe is the best but pressed steel (which is much thinner) is fine for light-duty work. A plastic shoe cover can be a great advantage, mostly to avoid scratching the material that you’re cutting. Being able to control the speed of the blade is very important. Most jigsaws will have a variable speed measured in strokes per minute (SPM). This is controlled by means of a trigger switch. The harder you squeeze the trigger, the faster it will move the blade. Having control over the blade speed allows you to work slower when making detailed cuts and a slower speed is recommended for cutting metal to prevent the blade from overheating. Speed cuts when ripping or making cross cuts without any sharp corners or tight circles will become frustrating at a low speed. Having a big variation between the slowest speed and the maximum speed for the blade will give you the best scope for different working conditions. Most modern jigsaws also have an oscillation control switch. This basically controls the minimum and maximum speed of the trigger switch. If you want to work at a very slow speed, one can switch the machine to operate at a slower speed and you’ll have greater control over the speed when using the trigger switch. It’s like recalibrating the trigger switch to work within a lower speed range. You can dial the oscillation control switch up for a faster speed. So far, we’ve looked at the most important considerations when choosing the best jigsaw. There are many other attributes and, or, extra features that may make some jigsaws more appealing, depending on your preferences. Motor size – the amp rating of the motor indicates how much power the machine delivers. While these are fairly similar on all jigsaws, a more powerful motor will obviously make it easier to cut through thicker and harder material. Dust blower and extraction – a blower that clears sawdust and woodchips from the cutting line is a big advantage. Like all woodworking tools, a dust extraction port is quite common on jigsaws. Being able to connect a vacuum extraction pipe helps keep your work area clean. Laser guidance makes it simpler to line your blade up with your cutting line and can increase your productivity. LED lights are becoming more common on jigsaws and the obvious advantage of this is to see better what you’re doing.